As the bobcat begins to rebound in the state, Ohio University researchers are tasked with a four-year study for the Ohio Department of Natural Resources, which will use the analysis to develop management strategies for bobcat populations. Native to Ohio, bobcats became locally extinct by the mid-1800s as the state was settled. 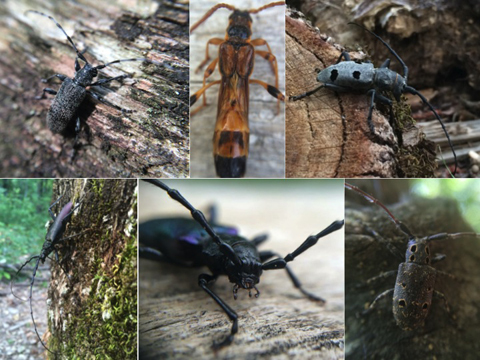 “They began to repopulate Ohio in the mid-1900s. Since then, this cat has been sighted more often every year and is returning ‘home’ to Ohio,” according to the ODNR website. With those increased sightings come the questions of a trapping season and habitat preservation, though very little information exists about the status of the population, numerical trends, and the rate of expansion. 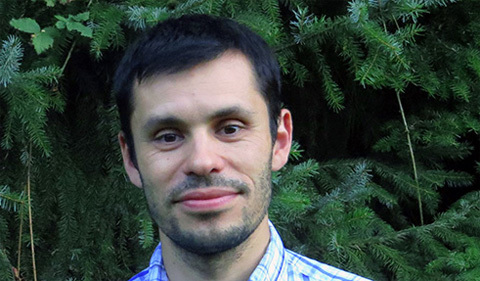 Dr. Viorel Popescu, Assistant Professor of Biological Sciences, and students have begun a four-year project to study the sustainability of state and regional bobcat populations at the state and regional levels. They will examine genetic diversity and the movement of bobcats around the state, as ODNR could determine that certain counties remain closed to trapping to ensure continued population growth. Determine predictors of road mortality and the overall risk for bobcats in Ohio. Characterize the rate of expansion, including current occupied range and areas of future expansion. Identify source-sink areas, with source environments being more ideal and tending to support larger populations, and sink habitats of lesser quality. Evaluate the density of two core bobcat populations, one in Southern Ohio and one in Southeastern Ohio. Predict population trajectories and possible trapping levels using a Spatial Population Viability Analysis. How are the Bobcats Getting ‘Home’? The ODNR work since 2010 includes finding genetic distinctions in two bobcat populations, one in Southern Ohio and one in Eastern Ohio, suggesting two sources for bobcat recolonization in Ohio. Bobcats who return to Ohio’s Eastern population come from West Virginia and Pennsylvania, and the Southern population gets migration from Kentucky. The Eastern population is thought to be more self-sustaining and less reliant on immigration. The journey into Ohio isn’t necessarily an easy one for bobcats looking for greener grass on this side of the Ohio River. Popescu notes that the contract with ODNR was signed in August 2017, so the project has several more years of data collection and analysis before a clearer picture of Ohio’s bobcat population emerges. Heidi Bencin, a graduate student in the ecology and evolutionary biology program, presented a poster on the first phase of their data collection—“Predictors of road mortality for the recovering Ohio bobcat (Lynx Rufus)”—at the Ohio Fish and Wildlife Management 2018 conference Jan. 26 in Columbus. The researchers reported that bobcats were 50 times more likely to be killed on interstates than smaller roads, especially during mating season in March and dispersal and kitten rearing in October. “In addition, we are implementing various studies to evaluate the occurrence and abundance of bobcats in SE Ohio,” Popescu says. 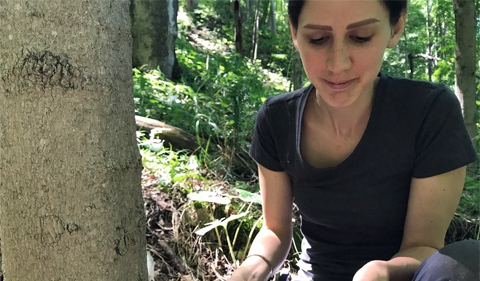 “Heidi has put a tremendous amount of effort in deploying 70 camera traps on public lands in Southeastern Ohio for six months. This data will be used to evaluate habitat predictors of presence in the state, while giving us some limited information on breeding, as we are seeing kittens at some traps. This data is currently being processed, and results expected by summer. The final report will be a drill-down look at bobcat populations, a Population Viability Analysis (PVA) done not at the statewide macro level, but at smaller regional levels. 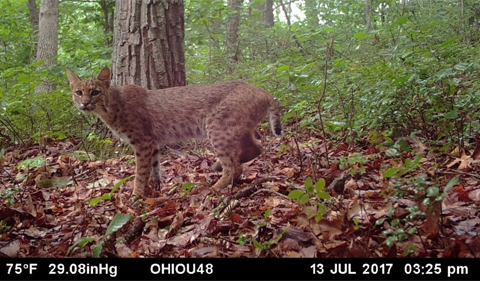 “In contrast to PVA, which assumes that vital demographic rates are representative of the whole population, we will develop a spatial PVA, which considers potential source-sink dynamics in the Ohio bobcat population,” according to the project summary. We live less than 4 miles from city of Athens, Ohio & LOVE having Bobcat(s) in the field behind our home! It is so exciting. Two of our many yard bunnies have been decapitated verses killed by our resident coyote collective who simply leave parts when they harvest our bunnies. We have found a tree where the bobcat likes to haul prey up and eat. I am surprised that the Bobcat was interested in our horse that died verses eating critters it caught. Very elusive and exciting when we actually do get get to see such a magnificent critter living amongst us!